When the state created the Spokane Intercollegiate Research and Technology Institute (SIRTI) in 1994, its aim was to help startup technology businesses and match them with university researchers to grow high tech jobs. SIRTI eventually merged with another state-funded enterprise—the Washington Technology Center—to become Innovate Washington, which started with a primary focus on clean technology. When Innovate Washington’s funding ran out in 2013, the state turned its building over to WSU Spokane. This left Spokane without a solid business accelerator until 2015, when Ignite Northwest formed. 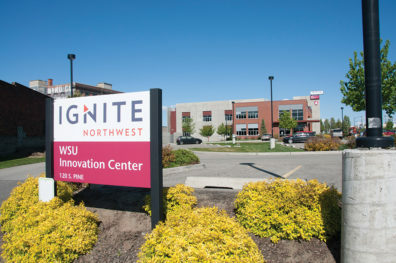 WSU Spokane is one of Ignite’s partners and Ignite has space in the WSU Innovation Center on campus. Ignite manages two 13-week accelerator classes a year with cohorts of at least 10 companies in each class. The classes introduce entrepreneurs to the aspects of running a business, from developing a business model, to market research, communication with their markets and customers, and more. “In essence, it’s a compressed executive MBA course with an eye toward creating a compelling story to investors in an effort to gain capital for scale and growth,” said Bill Savitz (left), Ignite’s CEO. The classes conclude with Demo Day, where each company presents its organization to an audience of potential investors, customers and other entrepreneurs. 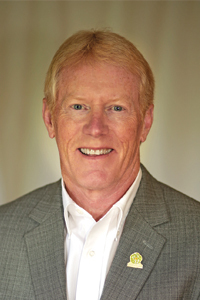 “The purpose is to prepare the client companies for presentations to potential investors as well as to help them hone their presentation skills for all efforts related to selling themselves and their products to broad audiences of potentially interested parties,” Savitz said. As of this writing, Ignite is currently wrapping up its second 13-week class. The first cohort graduated in November of 2015 and some businesses made some major changes. Two of the 10 participating companies made changes to their executive leadership, while two others moved their products to different markets. Two more businesses found investors. For its second cohort, Ignite extended its reach by partnering with Fuse SPC in the Tri-Cities to allow for remote participation in the class. Fuse SPC offers coworking space in the Tri-Cities. Ignite’s list of advisors for the classes reads like a “Who’s who” of area entrepreneurs and business owners. Some of them include John Overby, a local entrepreneur, Mark Pond of the Spokane Public Library, Ed Caferro of Ecolite Manufacturing, Lewis Lee of Lee & Hayes, Pete Chase of Purcell Systems, Michelle Hege of Desautel Hege, and many others. It’s that diverse group of entrepreneurs and business owners that sets Ignite apart from previous attempts to grow Spokane’s entrepreneurial ideas. Ignite serves as the convener for entrepreneurs and investors. Being located in Spokane’s University District and partnering with WSU Spokane provides connections and access to researchers. Iasis Molecular Sciences, InstantMD and ReliantRX are some of the health sciences-related companies that have completed Ignite’s 13-week class. Research on the WSU Spokane campus could provide partnerships and solutions that can help those companies grow their business. And it’s turning research into commercialized businesses that makes WSU Spokane and the University District the job creators they are touted as being.